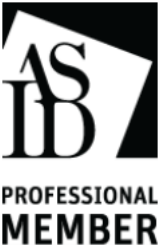 ​Roger Klein, a professional member of the American Society of Interior Designers (ASID) and a Certified Interior Designer (CID), has joined forces with Rocha Construction to create an incredible team to help you with your next home improvement project. Roger will work closely with you to achieve the best possible layout of the kitchen, bathrooms and other areas of your home with the goal of enhancing the functionality of the space to suit the needs of all the family members. He will go with you to the product showrooms to help you to choose appliances, counter-top and flooring materials, lighting, windows, doors, paint, wall paper, etc. He is very knowledgeable about the latest products and can make positive suggestions that will align with your personal preferences. Roger will produce computer-generated three-dimensional drawing to show you exactly how the new layout will look. 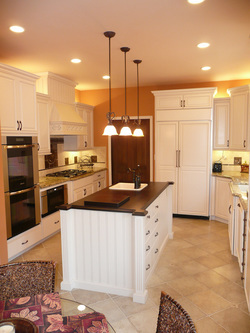 Roger is a member of The National Kitchen & Bath Association of Professionals. We are very excited about having Roger as part of the Rocha Construction Family! He is definitely an asset and we hope that all of you will take advantage of his training, experience and expertise. You can find out more about Roger by visiting his website.